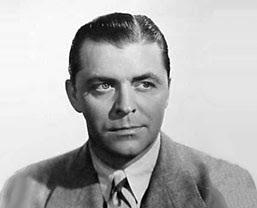 Given the cruel pragmatism of show business, it would be all too easy to dismiss Lyle Talbot as a disappointment, an actor who had his chance as a studio contract player in the 1930s but without a breakthrough wound up in Ed Wood movies. Given the eternally optimistic nature of performers, it’s equally feasible to brand him a success, a man who supported his family through his craft alone and became a TV fixture. Only a storyteller would look at Talbot’s career and understand that it touched on virtually every development in modern popular culture, and only a daughter would chart that course with such affection. New Yorker staffer Margaret Talbot chronicles her father’s path from traveling carnivals to barnstorming theater companies to the golden age of Hollywood and ultimately the quiet streets of the Ozzie and Harriet show. My impression of Talbot comes from the pre-Code films he made for Warner Brothers, movies like Ladies They Talk About and Havana Widows, where he always played the other man, a weak figure who caused strong women like Barbara Stanwyck or Glenda Farrell to come to grief. Talbot assesses her father’s gifts correctly: “Lyle often conveyed a bit of foppishness, a juvenile quality, with a faint trace of the feminine in it, that sometimes played as inadvertently goofy ... He did not project a large and distinctive personality that surrounded him like an aura from role to role.” She further suggests that temperament contributed to his also-ran status. “He possessed neither the soaring ambition nor the bottomless desire to be loved by the crowd that propels many stars.” Talbot himself blamed his activism; he was one of the founding members of the Screen Actors Guild, and the first on the Warner lot. The Entertainer is occasionally digressive, veering into biographical cul-de-sacs, but understandably so because Talbot is coming to understand her much-older father as his own person. Ultimately it’s not about the entertainment business so much as the mystery of adulthood, specifically that of your parents and those shadowy, impossible-to-imagine years when their lives didn’t revolve around you, when they were out raising hell themselves. The best sections of this engaging book detail how Lyle’s itinerant lifestyle inculcated traits that he passed along to his daughter in various forms including beautifully prepared school lunches. I think that in those years as a traveling player my father cultivated his own collection of habits, and that they stayed with him, help carry him, really, through life. He never had the steadiest of moral compasses, nor much in the way of self-knowledge, and at times he might have been completely undone by his love of a good time and the wrong woman. But he always maintained the habits of professionalism and of small attentions to himself that can hold a person together when little else does. I think there are probably many people like that, people who manage to live good and productive lives less for any deep reasons of character than for the fact that they’ve acquired, somewhere along the way, certain rituals of reliability and self-respect. Lyle always showed up at the theater; he always knew his lines. He did not leave the house unless he was well-turned out; he believed that was part of the social contract we implicitly make with our fellow human beings. A few more Lyle Talbots in this world wouldn’t be a bad thing.